Nothing is more stressful for a bride than to have your baker back out at the last minute. Thankfully I was able to slide this wedding into the calendar. This bride was amazingly easy to work with. 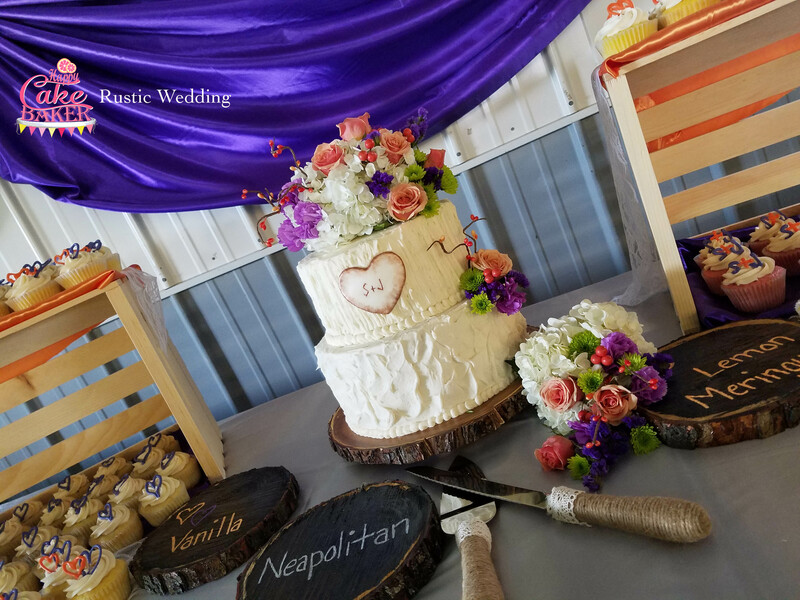 I enjoyed creating the textured look on the cake. I fit perfectly with her rustic wedding theme.